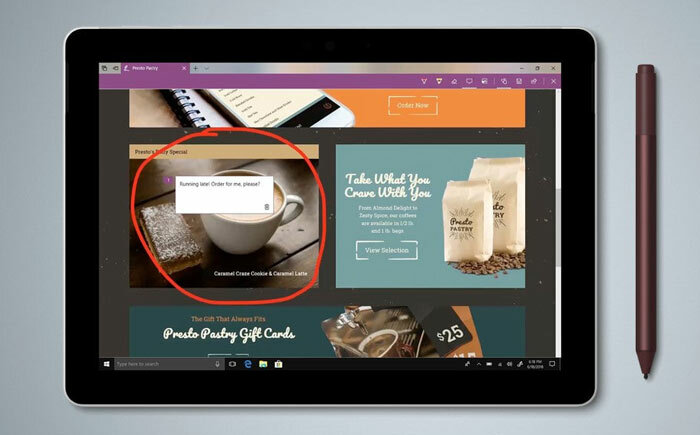 The Surface Go was officially announced by Microsoft about a fortnight ago. Microsoft's press release, blog post and official product pages describe two models that will be made available from 23rd August (2nd August in the USA). 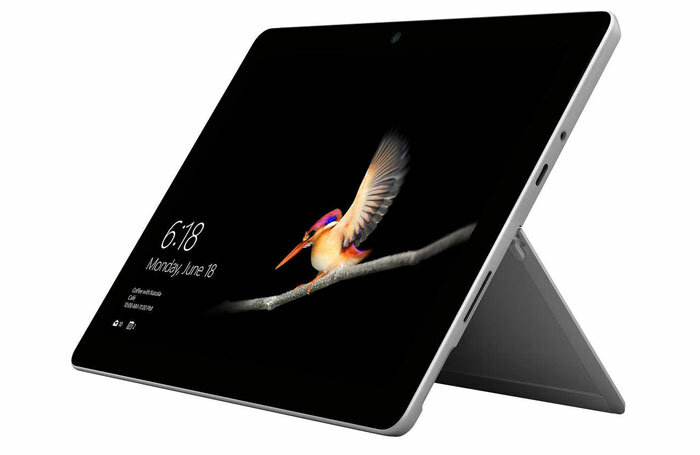 Buyers looking for the entry level Surface at the keenest price possible will likely be attracted to the $399 (£379) Surface Go model with 4GB RAM and 64GB storage. Those with a bit more to invest and requiring more RAM/storage can opt for the $550 (£509) model which comes with 8GB of RAM and 128GB of storage. (Eligible students, parents, teachers, and members of the armed forces can get discounts). Whatever model you choose, the compact convertible is powered by a 1.6GHz 2C/4T Intel Pentium Gold Processor 4415Y processor with Intel HD Graphics 615. Other key common features are; the 10-inch PixelSense Display with 1800 x 1200 (217 PPI) resolution, weight of 522g (without Type Cover), dimensions of 245 mm x 175 mm x 8.3mm, and provision of approx 9 hours of battery life. 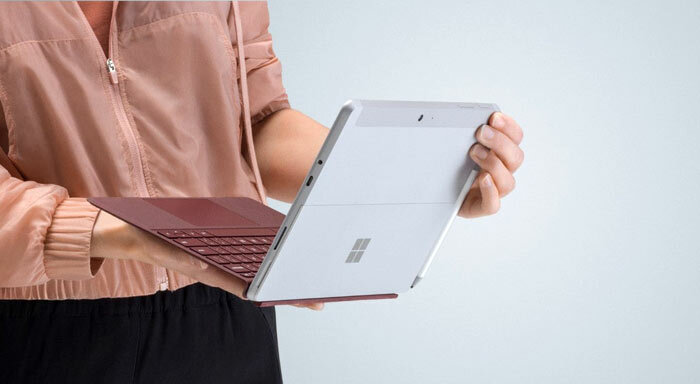 You will likely wish to buy a Type Cover to go with your Surface Go and these will add $99 (£99) to the prices. However, there is a specification difference in not just the amount of fixed storage, but the type. The 64GB storage model uses eMMC, while the 128GB version uses an SSD drive. In general eMMC won't feel as snappy as the SSD version, especially where disk activity is important such as booting, installing/loading programs, and loading and saving files. Just ahead of the weekend it was spotted that CostCo in the US is advertising a 'Goldilocks' Surface Go configuration. The variant includes 4GB RAM, a 128GB SSD, and the Alcantara Type Cover for US$549. It is a member only promo at this retailer but it will be interesting to see if other outlets get the same or similar bundles after launch. Another US retailer, Best Buy, currently only has the original two configurations up for pre-order. If you prefer those choices and have no immediate need/wish for a type cover then you could take advantage of the $50 gift certificate pre-orders qualify for, from this outlet. The 8GB/128GB version is really tempting as a personal go about laptop! Will have to see some reviews but the value proposition of what you get in that at the 500 pound price point is phenomenal. Remember that's a straight Dollar to Pound conversion. It would not surprise me to see the actual selling price in the UK to be a fair bit higher. Also, do we know if this is a stripped down version of Windows and limited? Also, do we know if this is a stripped down version of Windows and limited? With those specs, I'd be very surprised if it was. Comes with windows (home iirc) in S mode… basically it's full windows you just need to jump through a few hoops to disable S mode and get full access (one time, one direction thing).